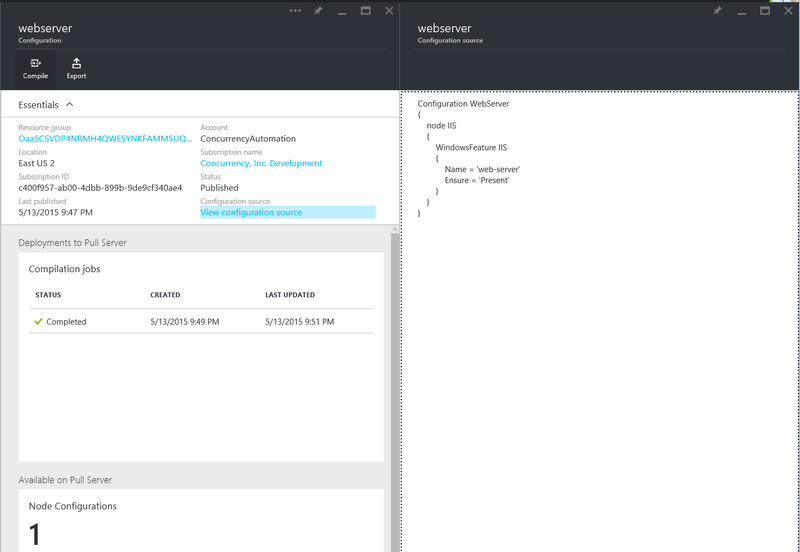 I’ve recently been talking about declarative configuration management using PowerShell DSC (platform) and Azure Automation DSC (tooling). 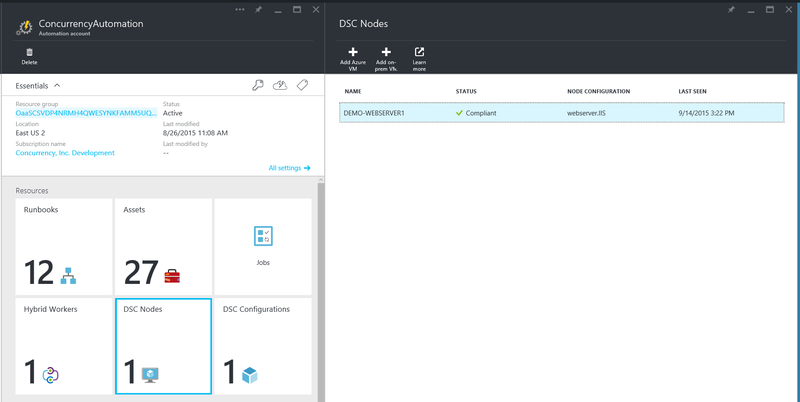 In the previous post we discussed how to get started learning about these concepts, as well as how to spin up your Azure Automation DSC instance. 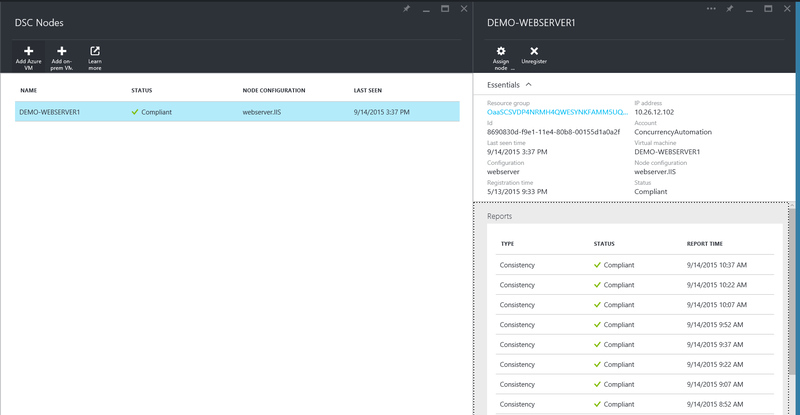 In this post we’ll cover the capabilities of adding new Azure virtual machines, applying configurations, and viewing configurations. To re-orient ourselves, here is the view of one of my virtual machines. It is showing compliant and indicating the time of its last check-in. I’m interested in seeing the log of when the virtual machine last checked in, so I click on the virtual machine. To view details of the report, just select the respective log item, or you can export them. If I was interested in assigning a different configuration which will be declaratively applied, I select “assign node configuration” and I can choose one of my stored configurations. To view more details about the configurations, you can select “DSC Configurations” and then select the configuration you are interested in. You can also upload new configurations in this space. You can view the configuration source, where here you can see in the PowerShell my configuration applies the IIS role. To add a new virtual machine to Azure Automation DSC, you can either add a new VM from the picklist (in your current subscription), or you can use the script on the other prompt to add an on-premise VM, or one in another subscription.